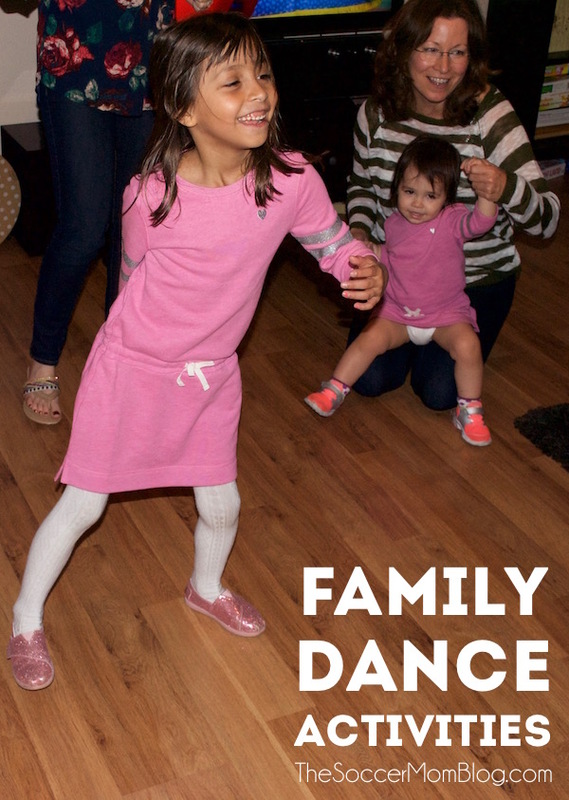 Staying fit as a family is a priority, but we try to find activities that feel more like play to keep it fun! Walks, swinging in our backyard, climbing the jungle gym at the park, and horseback riding are just a few of our favorite ways to get some exercise and enjoy each other’s company. These are primarily outdoor activities, and with winter on its way, there are going to be some days where we are stuck indoors. However, this doesn’t mean that we have to become couch potatoes! Dancing is an amazing workout and it’s FUN! Plus, you can dance just about anywhere you have a little bit of space! Conga Line: This wedding classic is a blast at home! We make a choo-choo train and circle around the house, taking turns being the leader. FREEZE: One person is in charge of the music. Everybody dances until the music stops, then you have to freeze in place. The first person to move is out and gets to run the music for the next round. 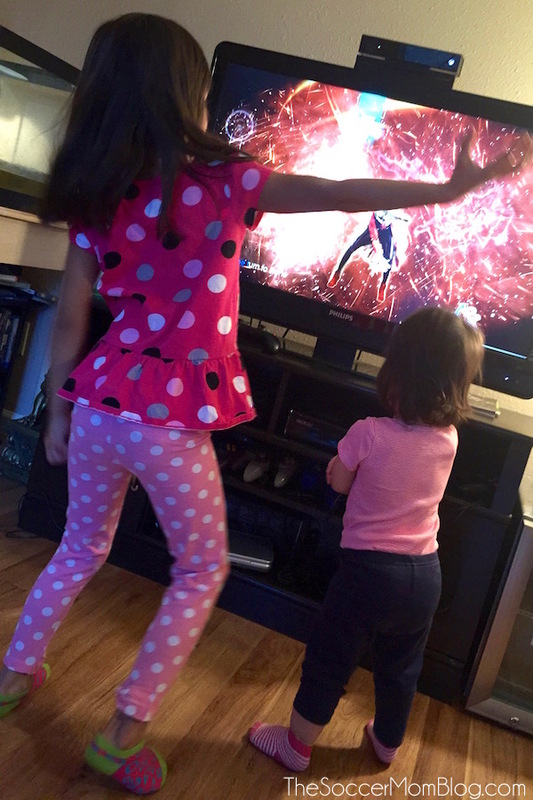 Dance Party: We recently got the new Just Dance 2016 game for our XBOX One, which takes our dancing to a new level. There are over 40 funky family-friendly songs and different games (both competitive and co-op) that keep everyone entertained for hours! 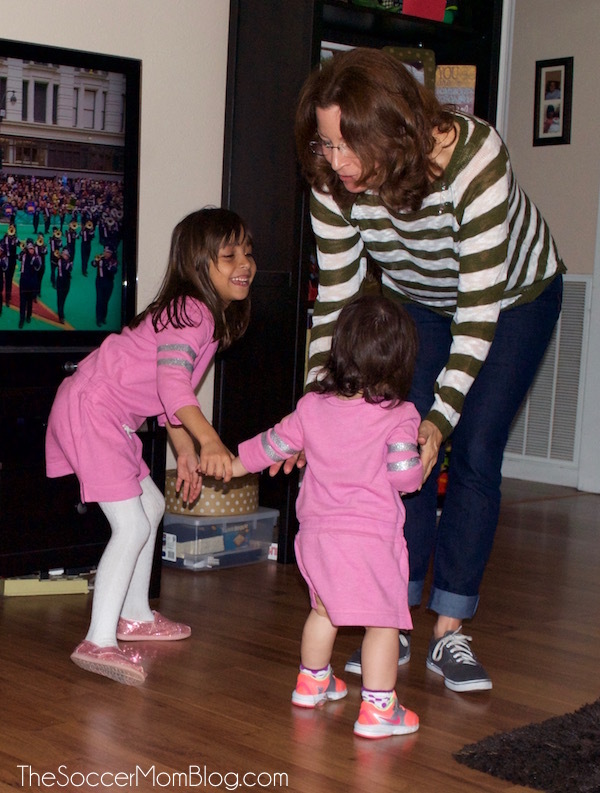 It’s fun to see who has the best moves for each song and it’s a great way to wear the kids out…I mean, get them moving! 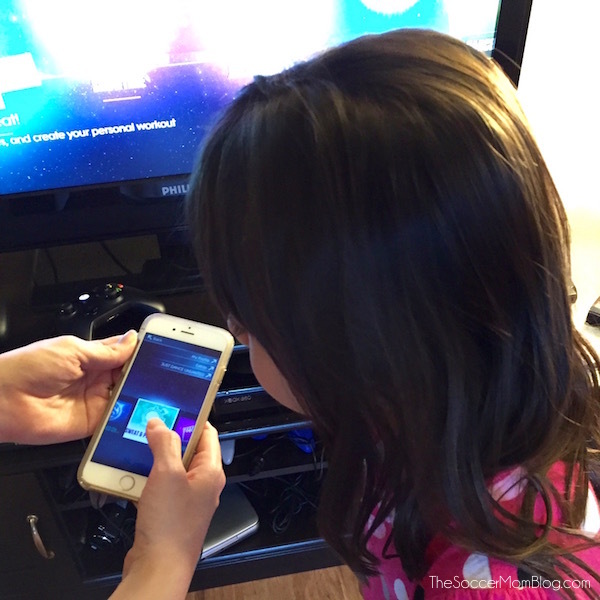 Lilu was thrilled to see some of her favorite Disney songs including “Let it Go” and “Under the Sea,” but there are also plenty of Top 40 hits that older kids will recognize. One thing that really impressed me about this game is that it is very forgiving for young players. Lilu is 7 and I was worried that she might get discouraged if she couldn’t hit all the moves just right, but that wasn’t the case at all. If anything, she became more confident as she played! Mom and Dad have also been known to have the occasional “dance-off” after the girls are asleep. Those competitions can get a little more intense, but it’s all in good fun of course! Bonus: this game is better cardio than many dedicated workout routines I’ve tried! I can really feel it the next day, so I know I was working something! 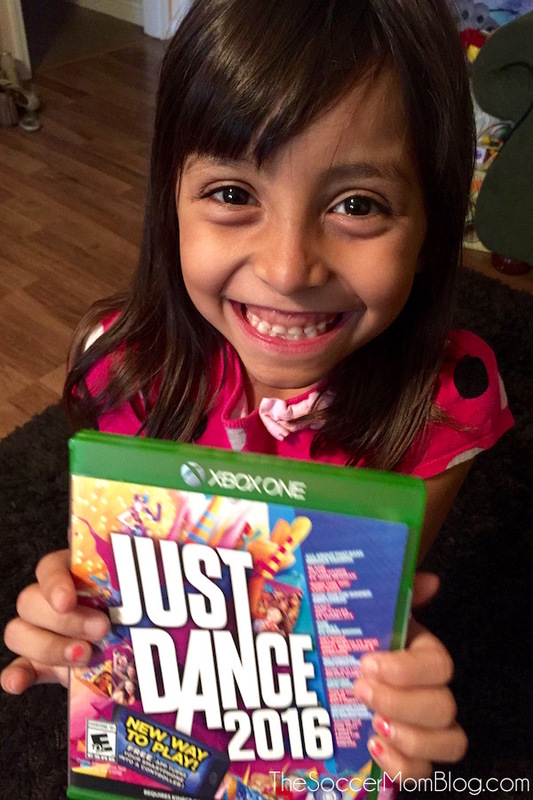 Just Dance 2016 would make the perfect gift for the kids, or a family gift that you can all enjoy together. (It’s meant for ages 6 and up, but as you can see, Annabelle loved to join in too!) See the full track list and find out how to purchase here!